Bryan Power runs Power Sports, and Power Sports is coming fresh off a #1 finish in NFL betting for the 2015 season. He hit about 59% of his picks in 2015, and is ready for a repeat performance in 2016. But let’s not get too far ahead of ourselves. Bryan Power has been picking games for a long time, but his success has so far been limited to only what he can pick. Now, he has assembled a team of professional handicappers to take his company to the next level. And the next level is exactly where Power Sports has gone. They’re riding 8 different streaks that have pulled in more than 4 digits in profit. None of those streaks is more impressive than their basketball streak. That streak has brought in more than $4,400 in profit since January 2015. In that time frame, Power Sports has picked more than 1,000 basketball games. 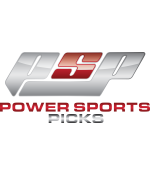 Power Sports has also gone 957-778 on their picks over all sports since September 2015. That’s more than 1,700 picks in about 10 months, with more than $4,100 in profit to show for it. They don’t pick every game every day, but you can see they are definitely aggressive. This is why Power Sports is one of the best options for bettors who like a lot of action. The team Bryan has assembled at Power Sports gives you lots of options every day. This is what the Power Sports team has brought – the same winning rate, at a much higher capacity. If you like to bet a lot of games, or at least have a lot of options, give Power Sports a try.